Jagged graphics in royal blue are used to dynamic effect on this deep black Nike Men's Shark Brief. A low rise fit is both comfortable and allows for full freedom of movement. A stretch waist with inner drawstring ensures a secure fit for diving, tumble turns and vigorous sport. Nike Performance Poly is soft to touch, offering a sleek, lightweight fit and superior shape retention. The 100% polyester is completely chlorine and fade resistant and will keep pace with the most intensive of swimming schedules, maintaining its striking appeal swim after swim. Minimal coverage brief with dynamic, jagged print in royal blue. Sits low with a snug fit. Stretch waist with internal drawstring for secure diving, tumble turns and intensive swimming. 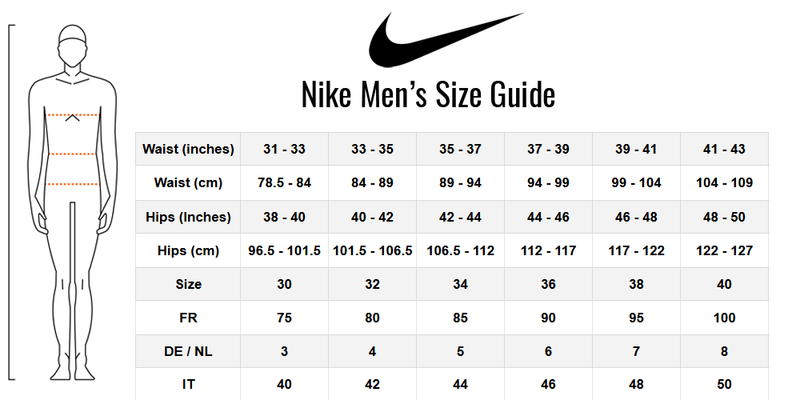 Nike Performance Poly fabric for lengthy, frequent training sessions. Lightweight, comfortable and superior shape resistance for punishing schedules. About: Born in 1964 from Coach Bill Bowerman’s determination to improve his athletes’ performance and the business acumen of one his own sportsmen, Phil Knight, the success of the iconic Nike brand has been truly exponential. Driven by a relentless mission to bring inspiration and innovation to each and every athlete, this iconic performance brand is now making a real splash in the competitive swimming world. “Ignite your Swim” and take your performance to the next level with the Nike Swim Performance Collection.